I feel like my love for pudding all started when I was a kid, on my couch after school, watching Billy Madison over and over. His affection for Snack Pack was contagious and soon after, my go-to request for school lunches was always pudding. Most weeks my mom would resist, but every now and then, my brother and I would wear her down and she’d end up giving in to us. Those were the best school lunches ever! Now, I figure it’s more fun to make homemade pudding, so I stick to making it with simple ingredients. 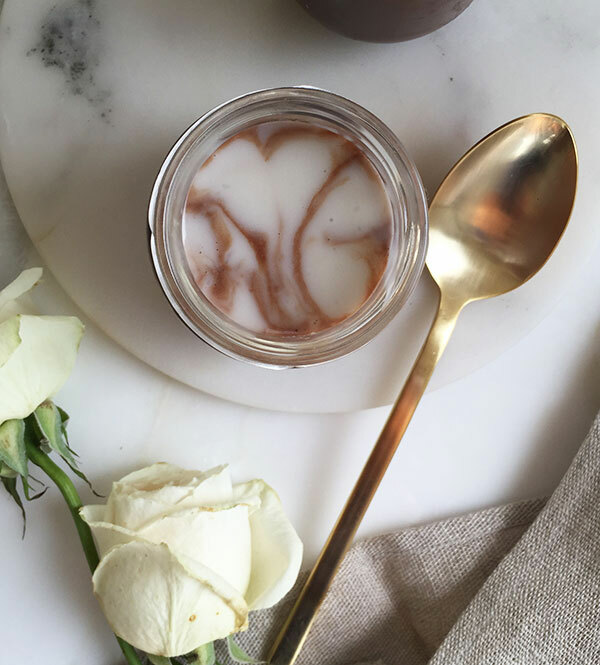 This pudding is one part chocolate, one part coconut pudding. I have to say that the coconut pudding is my absolute favorite. It’s the perfect pairing with the chocolate pudding, adding a sort of refreshing, tropical element to an otherwise decadent pudding. 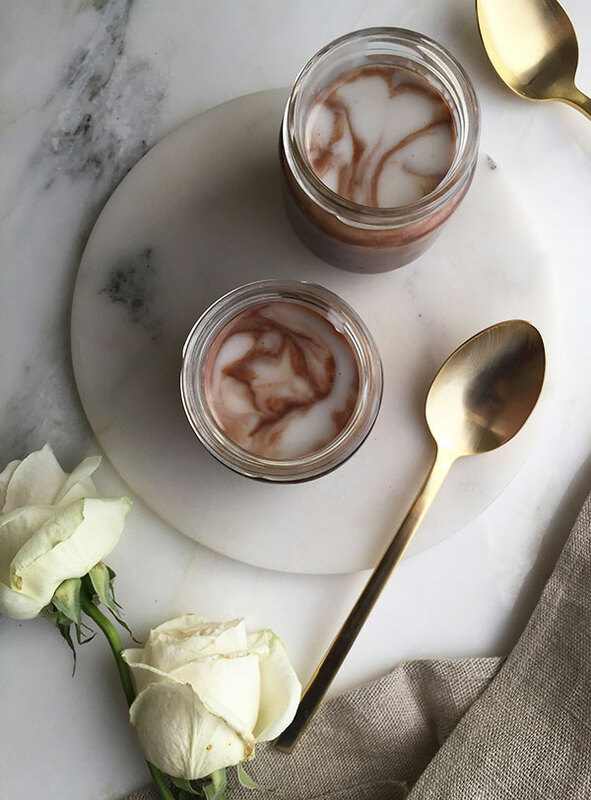 This pudding is made for two, intended to be eaten after an indulgent meal, when maybe you’re looking for something on the lighter side. Happy love day! 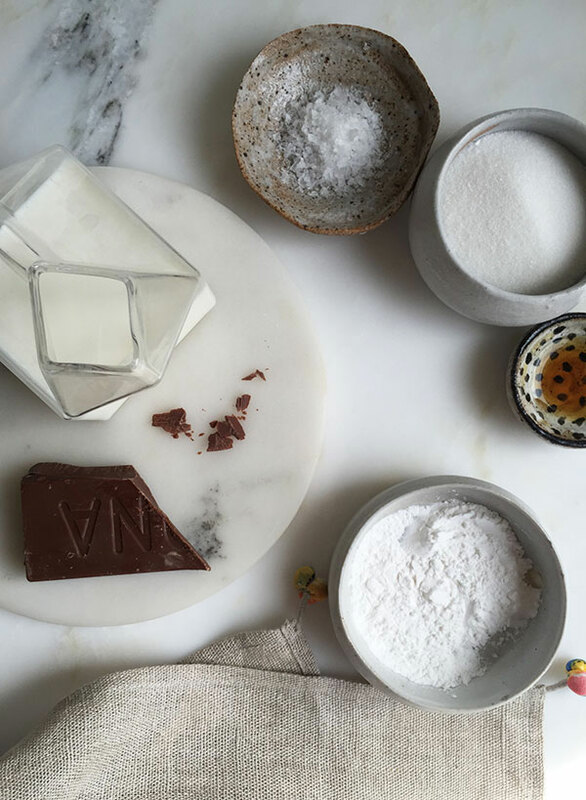 To make chocolate pudding: This pudding starts by creating a slurry. To a medium skillet, add the tapioca starch, sugar and salt. Turn the heat to medium low and add a few tablespoons of milk (you can eyeball this); using a fork, whisk vigorously until no lumps of starch are visible. Pour in the remaining milk and stir continuously until thickened, about 3 to 5 minutes. Stir in the chocolate and continue mixing until the chocolate is thoroughly incorporated. Next, stir in the vanilla extract and immediately run the pudding through a sieve and into a bowl. If any little lumps remain, run it through the sieve a second time. Set aside while you make the coconut pudding. To make coconut pudding: To a small bowl, make a slurry by whisking together the water and tapioca starch until smooth. To a medium saucepan, set over medium heat, combine the coconut milk, sugar, and pinch of salt; stir until the sugar has dissolved. Pour in the starch slurry and stir until thickened, about 5 minutes. Assembly: Divide about half of the chocolate pudding amongst your 6-ounce ramekins. 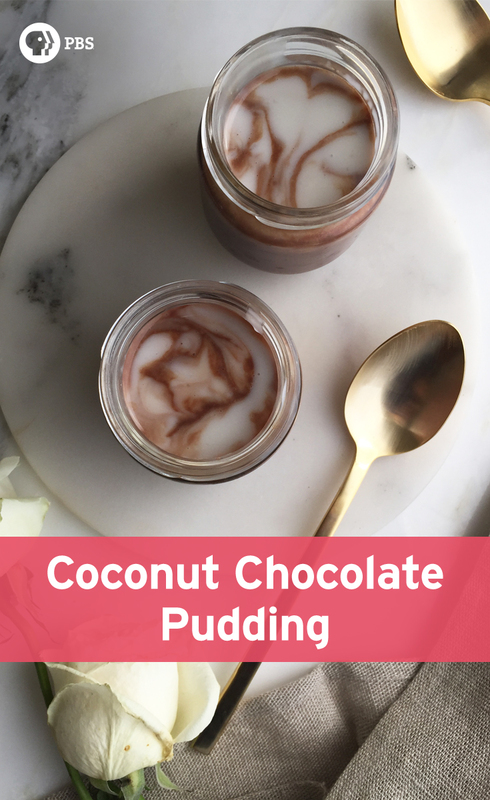 Top the chocolate pudding with a few spoonfuls of coconut pudding. Again, add more chocolate pudding and top with a few final scoops of coconut pudding. If you hate pudding skin, place a small sheet of plastic wrap on the surface of the pudding and transfer to the fridge to set for at least 3 hours. Or serve warm.